What is an Industrial Gate Valve? Industrial valves come in a wide variety of types and styles. Industrial valves are used for flow control in industrial processes at specific locations in a piping system. Valves start, stop, throttle, or divert the process fluid flow. Valve application characteristics are diverse, resulting in a broad array of possible valve choices. Valve styles and types have evolved based on their performance, safety, effectiveness, and longevity. Valve type generally refers to the means employed to control fluid flow, specifically the body style and orifice design. These valve characteristics are used to determine whether a valve type may be suitable for your process application. The most common valve types include gate and globe valves (referred to as linear valves) and ball, plug, and butterfly valves (referred to as quarter-turn valves). 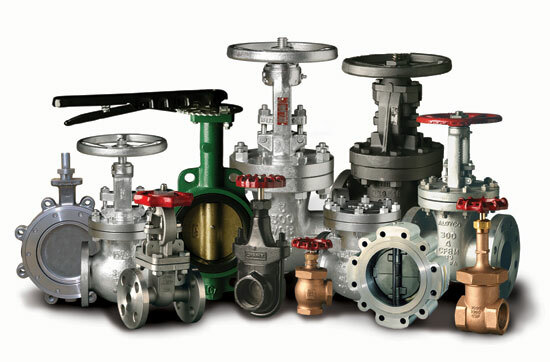 All these types of valves have numerous variations and customizations occurring within each type. Gate valves utilize a movable wedge, often round or rectangular, that is positioned as to restrict the process flow path. This wedge, referred to as the gate or disc, is connected to a valve stem which extends to the exterior of the valve body. Linear motion of the stem will position the gate within the valve body to provide some degree of obstruction to the process flow path. Fully inserting the gate into the media path will shut off the flow, while successively withdrawing the gate will increase the opening through which fluid can pass and allows for increasing flow rates. Seals are provided along the planar surfaces where the gate contacts the valve body. When fully open, these valves provide little or no restriction to fluid flow. This valve type provides a straight through passage. Gate valves can be employed bi-directionally, with flow control effectively available in both directions. Installation space dimensions along the flow path are minimal. Because the gate movement is perpendicular to the flow direction, the energy required to move the gate is generally low, allowing smaller actuators. Closure of gate valves is comparatively slow to other types of valves, reducing the physical shock (hammering) in the piping system. Valve seals are exposed to the fluid flow as the gate opens. The effects of the process media velocity and media corrosiveness on the seal material may cause deterioration at an unacceptable pace, particularly in throttling applications. 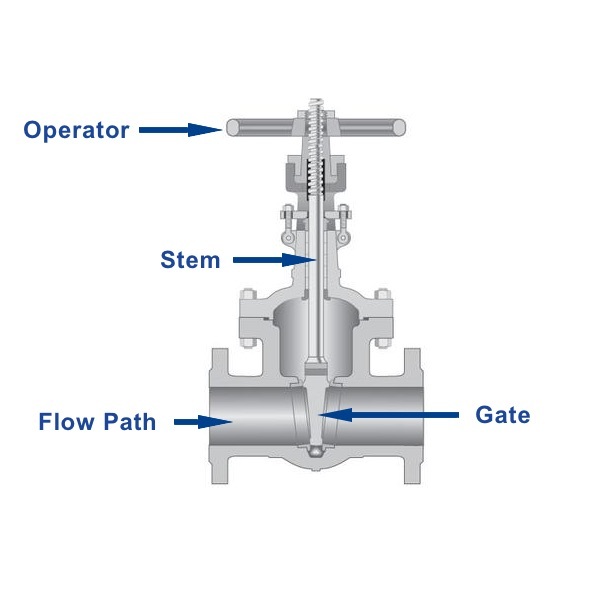 Gate valve stems generally extend substantially from the valve body, as they must accommodate the mounting of any required actuator and the entire range of motion of the gate. Some installations may not be able to provide the needed space for this arrangement. The slower speed at which gate valves open and close may not be suitable for some applications. Gate valves are generally not recommended for throttling the process flow, and using them in control applications could result in gate vibration. There is also concern about expedited seal wear due to the exposure to higher process media velocities while throttling.